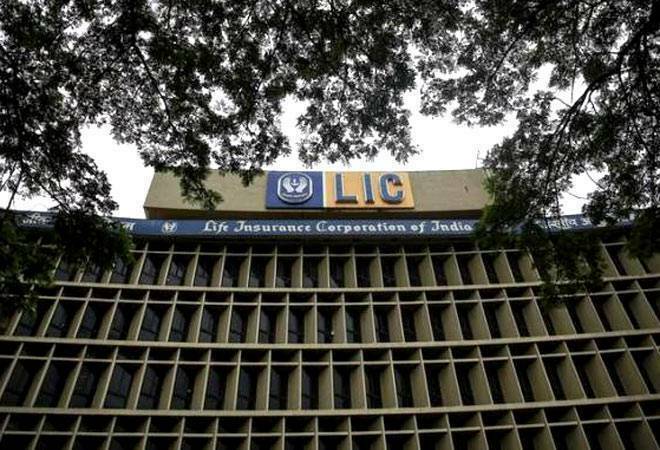 Vipin Anand has taken charge as Managing Director (MD)of Life Insurance Corporation (LIC)of India. He was also a member of the IRDAI committee for framing Regulations on Digital Marketing. Mr. Anand has handled several assignments in various capacities and departments across different locations in India during his 35 years’ service. Life Insurance Corporation of India (LIC) is an Indian state-owned insurance group and investment company headquartered in Mumbai. The Life Insurance Corporation of India was founded in 1956 when the Parliament of India passed the Life Insurance of India Act that nationalised the private insurance industry in India. LIC's slogan ‘Yogakshemam Vahaamyaham’ is in Sanskrit which loosely translates into English as "Your welfare is our responsibility". This day, the country renews its abiding faith in the importance of maritime zone as well as sea route for all-round development of the nation. The theme of the National Maritime Day 2019 (56th edition) is “Indian Ocean-An Ocean of opportunity”. The National Maritime Day was first celebrated on 5th April 1964. On this day in 1919, navigation history was created when the first ship of The Scindia Steam Navigation Company Ltd. "SS Loyalty" journeyed to the United Kingdom. India has about 7516 km (Mainland: 5422.6 km and Island Territories: 2094 km) of coastline serviced by a total of 182 ports. South Korea has launched the world’s first nationwide 5G mobile networks services two hours ahead of the US. Three top telecom providers SK Telecom, KT, and LG Uplus launched the 5G services. 5G will provide smartphones with near-instantaneous connectivity, 20 times faster than 4G. This allows users to download entire movies in less than a second. 5G networks will operate in a high-frequency band between 28 GHz and 60 GHz. This range is known as the millimetre wave (mm-Wave) spectrum and the sub-6 GHz range that LTE calls home will also be used. Nepal-India Franchise Investment Expo and Conclave will be held in Kathmandu from 15th to 16th May 2019. The event primarily focuses on building the relations between India and Nepal through entrepreneurship development. The conclave is organised by Federation of Nepalese Chambers of Commerce & Industry (FNCCI) in association with Embassy of India and Franchise India. The event is expected to introduce new investment opportunities to the Nepalese market. According to organizers 250 businesspersons and investors will attend the conclave and more than 1000 prospective franchisees and investors are expected to visit the expo. The 7th Foreign Office consultations between India and Italy were held in New Delhi. These consultations provided an opportunity to review the follow-up actions taken after the visit of Italian Prime Minister Giuseppe Conte in October last year as well as the entire range of bilateral relations, including political, defence, scientific, economic and commercial ties. Both sides took note of the growing economic and commercial relations and discussed steps to further facilitate their growth, including through strengthening the existing institutional mechanisms. In the light of the robust exchange of people between the two countries, both sides agreed to establish a regular Consular Dialogue. The International Centre for Automotive Technology (ICAT) will organise a NuGen Mobility Summit, 2019, at Manesar, NCR (from 27th to 29th November 2019). NuGen Mobility Summit is a biennial event being organised by the International Centre for Automotive Technology in collaboration with SAE-NIS. The objective of the Summit is to share new ideas, global experiences, innovations and future technology trends for faster adoption, and development of advanced automotive technologies for a smarter and greener future. More than 2500 participants and over 250 exhibitors are expected to take part in the Summit. Karnataka Bank has signed a memorandum of understanding (MoU) with Bharti AXA Life Insurance Company to distribute the latter’s life insurance products. Now, the bank will be able to provide a wide choice of life insurance products to its customers across 836 branches, supported by the products of Bharti AXA Life Insurance Company. This is the third such tie-up by the bank after PNB MetLife Life Insurance Company and LIC of India. According to the Asian Development Bank (ADB), India's projected GDP growth of over 7.2% for the current fiscal. ADB has projected India to remain the fastest growing Asian nation with 7.3% growth in 2020 as policy rates are cut and farmers receive income support, bolstering domestic demand. For entire Asia, the multilateral agency forecasted that growth will soften to 5.7 per cent in 2019 and 5.6 per cent in 2020. The Asian Development Bank (ADB) is a regional development bank established on 19th December 1966. Noted economist Viharidas Gopaldas Patel (79-years) passed away after a brief illness. Patel’s work towards inclusion of entrepreneurship in the formal education system, sensitisation of support system, and entrepreneurship research has been widely recognised. In 2017, the Government of India had decorated him with a Padma Shri for his contribution to the entrepreneurship movement. Patel has authored several books and among them The Seven Business Crisis & How to Beat Them (reissued as When the Going gets Tough) was a best seller. He had also served as the Chief Economic Advisor to the Gujarat Industrial Development Corporation and as Managing Director of the Gujarat Industrial and Technical Consultancy Organisation Ltd. The Gairdner Foundation has announced the 2019 Canada Gairdner Award laureates, recognizing Goa and Boston-based Vikram Patel for his research career raising the global profile of mental health problems. Vikram Patel has been awarded for his research career raising the global profile of mental health problems. Each year seven Canada Gairdner Awards are presented to honour the world's most significant biomedical and global health researchers. Laureates receive a USD100,000 cash honorarium and will be formally presented with their awards on October 24, 2019, at the annual Canada Gairdner Awards Gala in Toronto. The International Cricket Council (ICC) has sought closer working relations with the Interpol to widen the scope of its fight against corruption in the sport. The cooperation was discussed during ICC Anti-Corruption Unit General Manager, Alex Marshall's visit to the Interpol headquarters in Lyon, France. Marshall said the idea is to ensure that players are better educated about the corruptors and Interpol's vast network would be helpful in this. The International Criminal Police Organization is more commonly known as Interpol. It is an international organization that facilitates worldwide police cooperation.